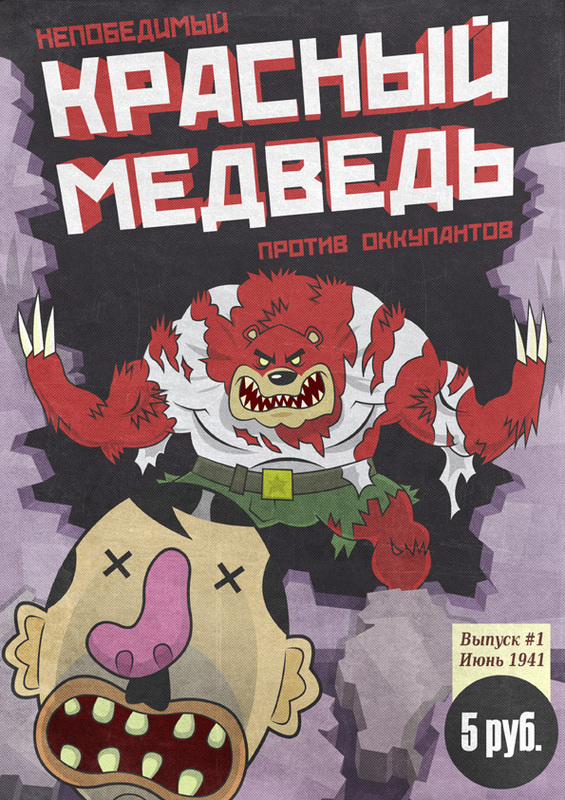 Recently, a few series of previously unknown Soviet Russian comics books came to the daylight. Here are the covers of some of them. “..Just a few years later, in 1922 a new comics was even more popular. It was telling stories about the life of young TroTro. The last series took place in Mexico”. Here, there are parallels with Mr. Trotsky – Russian politic, former Communist who fled from Russia to Mexico and later was slabbed with a hammer there by Soviet special agent. “…In the end of 1920s publishers try to gain interest from rural Soviet citizens making new series like The Communal Farmer and The World of Future. The stories of those books take place in future, in year 2000, when every Soviet farmer could enjoy benefits of the Communism.”. Including those ten feet tall rural robots. “The last one was “Gorbert”. 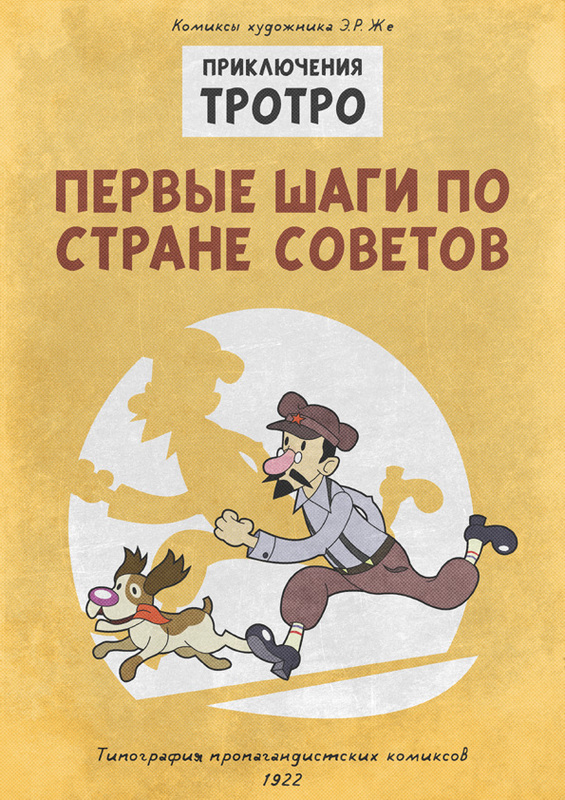 The story of Soviet comics ends on it”. 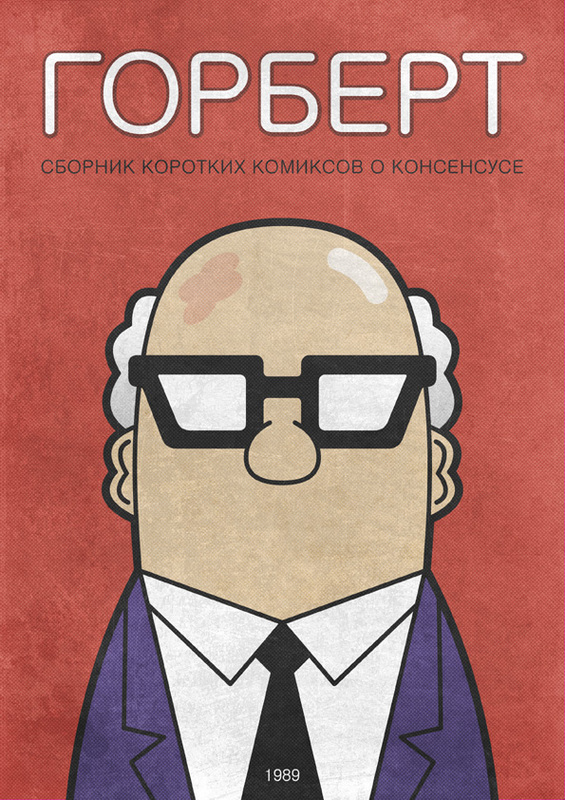 It was associated with Gorbachev. “Then the Era of totally new comics has begun”. Well, the comments here come from original artists who created this stuff. Exactly…. 5 roubles for a comic in 1941? What a joke. Some of these ‘chops are amusing, some are lame. Nothing about Sosoman, The Incredible Man of Steel? The comic book front page of the farmer and 10Ft tall robots from the 1930s would have to be fake. It cant be printed in the 1930s as the “Soviet” fighters shown are Su-15 Flagon Interceptors from the 1970s ! The first one looks rather anti-soviet. Chekist is depicted like stereotype communist on anti-soviet posters during polish-bolshevik war. That one from juni 1930 is obvious fake. Even Germans didn’t have jet planes that time. And “The Mutant Pioneers” from… april 1986. 26-th of april that year Chernobyl disaster took place. Very funny. Not. Also TroTro is fake – clearly copied from French ‘TinTin’ [appeared first in 1929] – ‘Gorbert’ looks very similar to ‘Dilbert’ which also appeared for first time in 1989. And judging from the drawing style I would say all of these are fakes, made in Adobe Illustrator. Nobody was drawing like this in those days. The Mutant Pioneers is also fake. It is written on the wall: Tsoi is still alive. Victor Tsoi died in 1990 and only after his death his fans started to write: Tsoi is alive. i realize these were fake…but they are funny…my favorite was Gorbert…hello Dilbert? Ha even has a similar stain on his head. And TroTro is of course parody of TinTin. How about “One Day in the Life of Ivan Denisovich” drawn in the style of Art Spiegelman’s MAUS? this story is EPIC FAILURE. Like so many other stories about USSR. Yes, they’re obviously fake. They’re also very well done, even for satire I mostly disagree with. Kudos to the artists, at least. 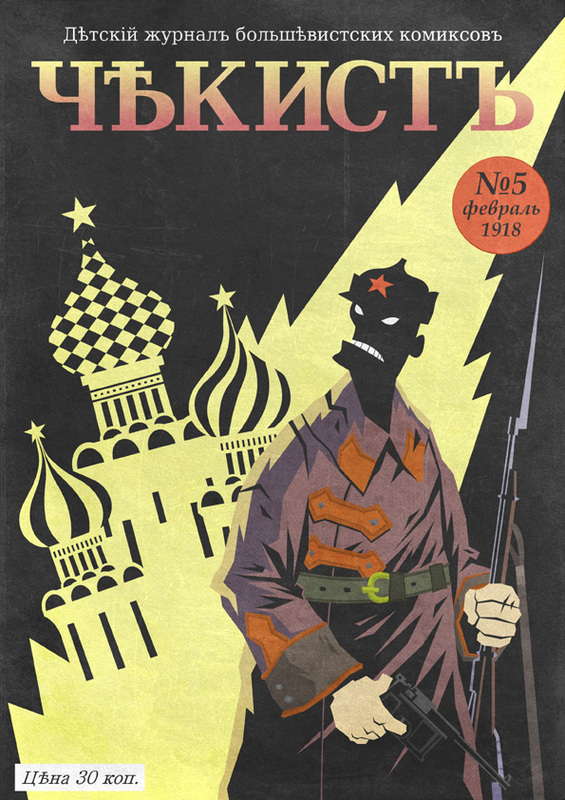 Yawn…another sovietski comic book post,real or fake! 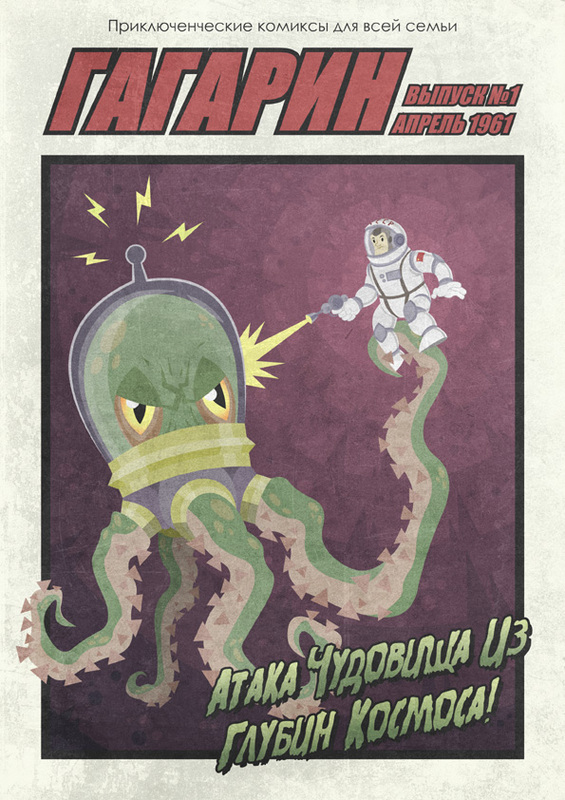 That one tentacle alien looks like the aliens from the Simpsons. There on the wall is written the phrase: “Choi is still alive.” But as they knew that he would die in 1990? 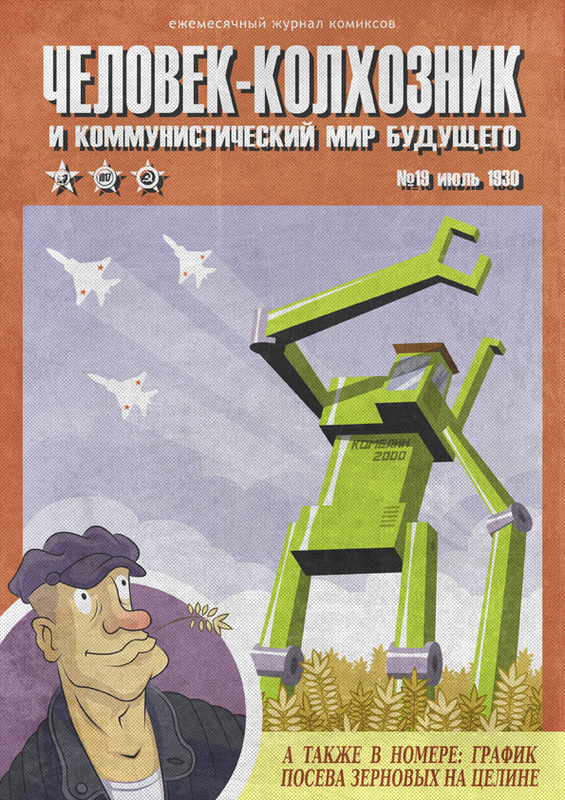 I found this page looking for Russian comic books and I was a little disappointed to see that these covers are just works of satire. 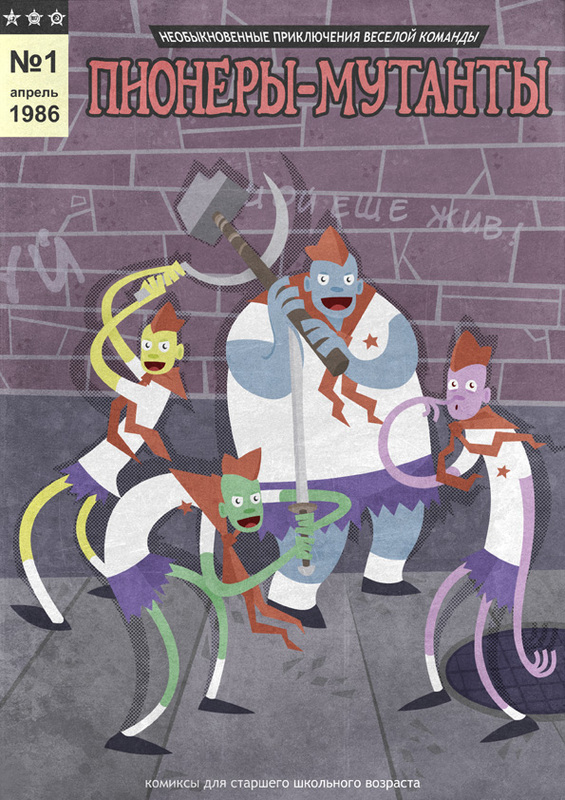 Still, I would really like to find some Russian comic books. They would be a gift for my brother. Any help on where I can find some? Actually, though the artwork is clearly modern, it’s not that far off from Constructivism or some of the cartoons they were making earlier in the Soviet Union. The only things that really give these away as more modern versions is the clarity of the pictures and the clear usage of computers in some fashion. Even then, they do look fairly close to some older Russian art forms. Pure fake. I mean these comics are not from Soviet Russia. They are made in present days but stylized like they was made in Soviet era. Anyway fun work! It’s really pure and rough fake! In Soviet Russia, fake stories YOU! Does anyone have a link to the full comics?? I`m trying to find an old comic book (from the 90`s I think). I used to watch it`s pages all day when I was a kid, and then I don`t know what happened to it. All I remember are some images that I would recognize. It was a soviet style comic and it showed deep messages in a creepy style that used to horrify and intrigue me as a kid. Does the comic have characters like Vanya the cosmonaut, Yuri and Masha or Misha/Mishka…graphics resembling some candle like illumination. This one used to show rockets and space adventures where cosmonauts had ropes tied around each other for scrambling around in space.